Make sure you’re not making these seven common mistakes when starting your B2B blog. So you’ve started a B2B blog for your business and are standing at the ready, waiting for those leads to start rolling in. But you’ve only gotten three views so far (you, twice, and one by your mother). It’s not working out exactly how you pictured. For one, it takes time — and patience — to build up readership for any blog. The more content you publish, the greater its quality, and the more consistently you post, the more quickly that success will happen. But, chances are, you’re making one (or more) of the rookie mistakes that prevent B2B blogs from driving traffic, leads, and sales. 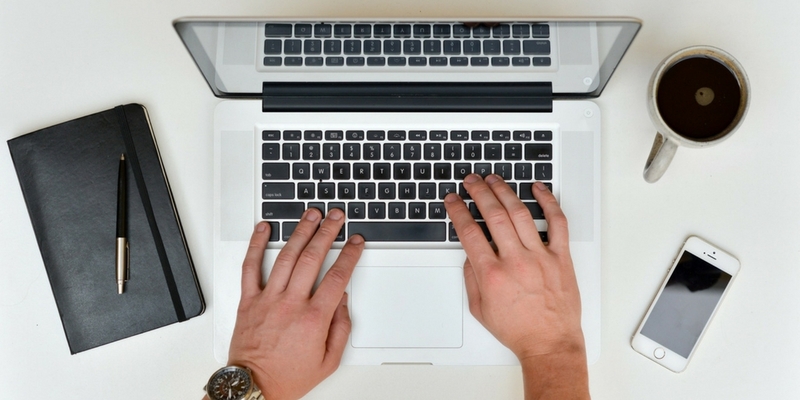 Take a look at the seven common blogging errors that are holding you back. 1) You’re promoting your products, services, and/or business. Believe it or not, your sales pitch is bad for business. While your blog seems like another avenue for advertising your products, that’s actually counterproductive. Today’s consumers have no tolerance for overt, interruption-based marketing. They can smell a sales pitch from a mile away and purposefully avoid them. There is plenty of content available on the internet that they have the ability to do so. Here’s another way to think of it: When have you ever changed channels while watching TV to find a commercial? If you’re flipping around, it’s probably because you’re looking for content that is appealing to you, not seeking advertisements. Blog readers feel the same way. Your posts should provide information, value, and/or entertainment relevant to your area of expertise for your target audience. They will read it — and, ideally, subscribe — because they regard you as a trusted source of knowledge. When they are ready to purchase, you will be top of mind because of the rapport you’ve built through your content. 2) You write about anything and everything. 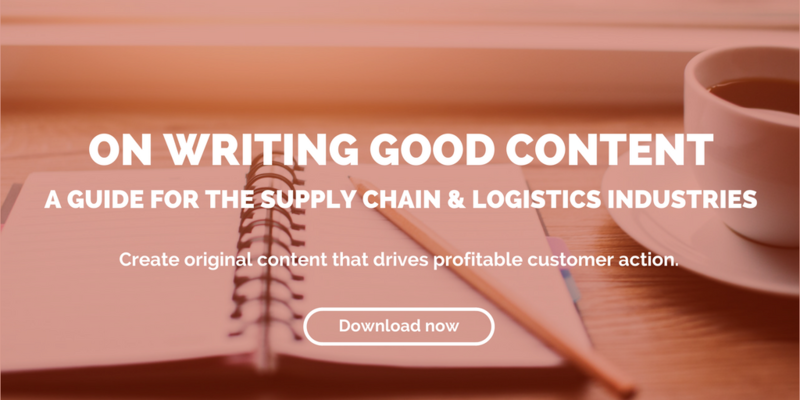 While it’s important to publish content that is meaningful to you and relevant to your area of expertise, your B2B blog shouldn’t be a dumping ground for every thought that crosses your mind. It’s not a forum for you to discuss what seems interesting to you on a given day. Unless you’re a celebrity whose lifestyle is your brand, your blog is not the place to make it about you. On the contrary, your blog is all about your target audience. Your posts should answer their questions, satisfy their needs, or cater to their interests. You should put considerable thought and planning into what you write to ensure it aligns with their expectations. An editorial calendar can help you map out content for your blog and make sure you are evaluating your posts from the 1,000-foot view as well. Writing a blog is different than writing an academic thesis, a business proposal, or a product catalog. If your content is boring, stuffy, error-filled, unintelligible, or otherwise difficult to read, people are going to move onto the billions of other content available on the internet. Your readers need to understand what you’re saying, and, what’s more, they need to connect with your content. Of course, that’s easier said than done. It’s ok if you’re not a great writer — the first step is admitting that and then deciding what to do about it. Hire someone to write it for you. At the very least, have a colleague glance over your posts for errors and clarity. There are so many good ideas and well-written articles out there that some people might be tempted to copy and paste without fear of retribution. Unfortunately that will only hurt your B2B blog. Firstly, discerning readers can tell when something’s not quite right. It’s easy for them to find the original source with a quick Google search, and even easier for them to never trust your blog again. Further, search engines can penalize your site if you’re caught plagiarizing content, which can dramatically impact your potential growth. Make sure your blog contains original content and ideas. If you use information or images from another site, make sure to properly cite them. 5) You’re not posting frequently enough. Blogging frequency impacts factors like search engine rankings and audience engagement. Posting rarely or without any kind of regularity will negatively affect both, and thus your readership. How much is enough? A recent analysis of the top business blogs found that 90.5% blog at least once a week. Figure out the blogging cadence that allows for the most posts with your available resources, and stick to it. 6) You don’t have the option to subscribe (or you’re not pushing it). A blog is an excellent way to gain organic traffic. But part of your goal should also be to establish a regular readership. After all, you want to build a rapport with potential customers, who come to trust your expertise because they regularly read your content. Now, people like to do what’s easy. It’s possible that your biggest supporters type in your blog’s web address everyday to see what you’re saying. But it’s more likely that more people will read your content if it arrives in their inboxes on a regular basis. Make sure the option to subscribe to your blog is easy to find and easy to do. Most content management systems make this simple to set up right on your blog. But you can also encourage people to subscribe by adding a call to action to your emails, your social media accounts, etc. 7) You’re not distributing it. Don’t let your content live in a vacuum. Certainly readers will find your B2B blog through organic search. But you don’t have to just post and pray. Distribute your content through whatever channels you have available to you: social media, email newsletters, paid content-promotion platforms, sites like Reddit and Quora, and more. And don’t just tweet about it once and consider distribution done. Keep distributing it whenever it’s relevant to do so.